This weekend, Israel made public a list of 20 organizations, including five U.S.-based organizations, whose leadership is barred from entering Israel due to their support for boycotts for Palestinian rights. Israel's blacklist is a sign of desperation and the latest recognition that the grassroots movement for Palestinian rights is growing in the U.S. and around the world. It is also an alarming reminder that Israel will resort to increasingly repressive means to quash dissent and punish those who speak out for Palestinian rights. Israel’s latest action should trouble all who value democracy, including our constitutional rights here in the U.S. The repressive measures that Israel adopts are regularly imported to the U.S. where Israel advocacy groups have championed efforts to intimidate and silence critics of Israeli government policies and supporters of Palestinian rights. 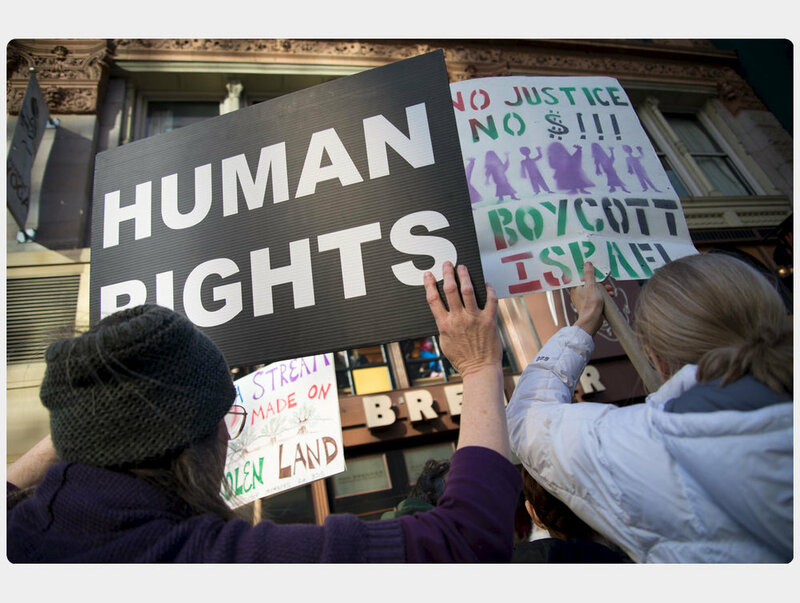 Israel advocacy groups have successfully lobbied twenty-four states to enact anti-boycott laws aimed at punishing those who support First Amendment-protected boycotts for Palestinian rights, echoing Israel’s own anti-boycott law. Several of these laws, including in New York, Illinois, and Florida, create blacklists of companies and institutions that support such boycotts. A bill being considered in New York would expand its blacklist to include individuals. The bill already passed the New York Senate with bipartisan support. Anti-boycott laws in Kansas and Arizona are currently being challenged in court on First Amendment grounds. In Congress, the Israel Anti-Boycott Act, which would impose severe criminal and financial penalties on individuals and companies that support boycotts “fostered or imposed” by international governmental organizations like the United Nations, enjoys bipartisan support. Israel's defenders have also pressured numerous institutions, including libraries, bookstores, museums and universities, to punish, censor or ban individuals and groups that support Palestinian rights. For example, Fordham University students are currently challenging their school’s unprecedented decision to ban a Students for Justice in Palestine club. Between 2014 and 2016 Palestine Legal responded to 650 incidents of suppression of Palestine advocacy in the U.S.